Posted by Derek Hughes on 24th January 2019. Happy New Year to you all. As this is the beginning of the New Year! We thought we would show you how to mix a non alcoholic cocktail. As everyone is now being health conscious at this time of year. 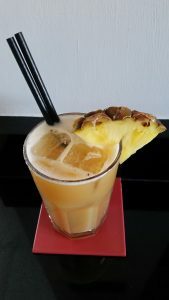 This is a delicious fresh juice combination, with the surprise being the pineapple! (just joking). Their is no real origin or it is not known who invented this drink either. So we are in the dark, as much as you are unfortunately. To make this cocktail, you will need to pour the Pineapple juice and Orange juice into the cocktail shaker along with a dash of Cranberry juice, with the ice cubes (roughly ¾ of the way up the inside of glass). Then give the cocktail a good shake over your shoulder and pour the drink (using the strainer), into the pre-chilled glass using a few ice cubes. 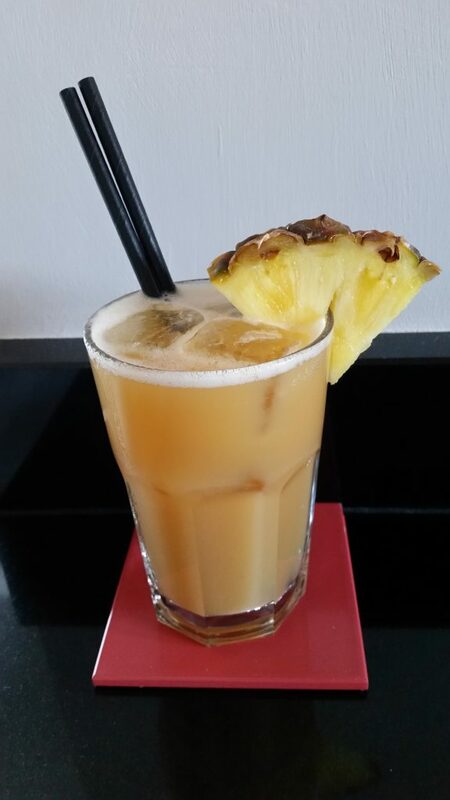 Finally, garnish with a slice of pineapple on the edge of the drink. (if you would like to do so) and a couple of straws. Relax and enjoy!